For a few months in 2011/2012 I’d been writing a song every two weeks (ish) and playing them at open mic. 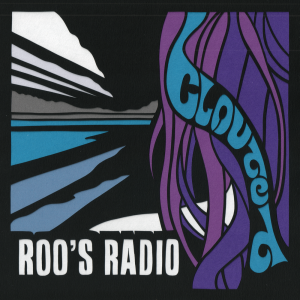 Clouded was one of these batch of songs and was more or less instantly a favourite for me. Consequently when I asked Cec and Claire to start singing some songs with me, this was the first one we worked on and finished. And because of that it’s one of our most known songs and certainly the best practiced song. Which meant is was an obvious contender when we approached Paul to record it in day. We recorded live in Gael and Gillie’s living room, which was a lovely space to be in and sounded pretty darn nice too. Because it was live it took us a while to get “the take”. Unfortunately, due to some mobile phone interference, “the take” is in actual fact two takes spliced together. Because of the quiet bridge we were able to replace the offending section with one just as good. We then spent the rest of the time adding an extra acoustic, some percussion, and some very mediocre piano. I’d love to learn piano properly, but I haven’t done so yet so I had to busk it. Another feature of the day was the constant presence of four video cameras. Which lead to the lyrics video you can see below. It also lead to an outtakes video, which was great fun to compile. One final thing to mention is the beautiful artwork, which our friend Sam did. It’s an original papercut, based on a photo of my daughter watching the recording process. Her work is well worth checking out. When Did You Lose Your Way?